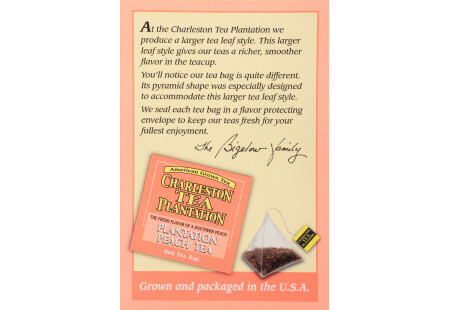 Over 100 years ago, tea planters brought their finest ancestral tea bushes from China and India to Wadmalaw Island near the historic old city of Charleston, South Carolina. 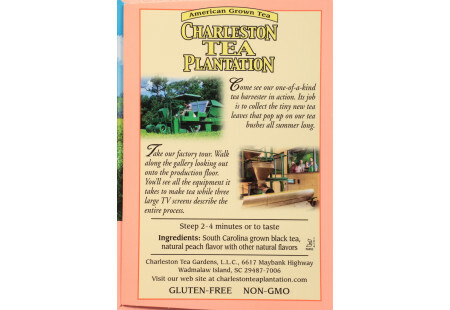 Now the direct descendants of these very plants have been lovingly restored to their former grandeur here at the Charleston Tea Gardens, a lush subtropical tea farm. 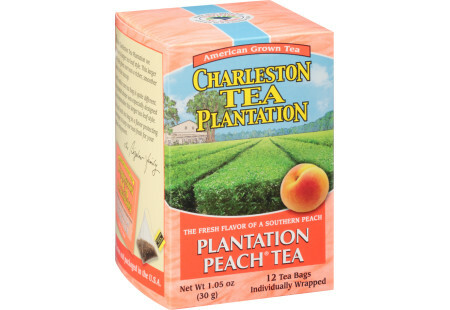 It is in this context of great natural beauty and colonial pride that we bring you Charleston Tea Plantation - Plantation Peach® Tea made from 100% grown at America's tea garden. 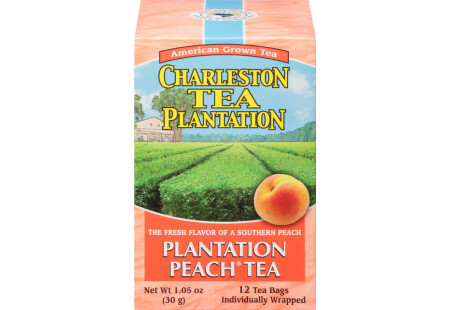 We have crafted a very special taste for our tea by blending the invigorating taste of southern peaches with Charleston Tea Plantation's finest tea leaves. 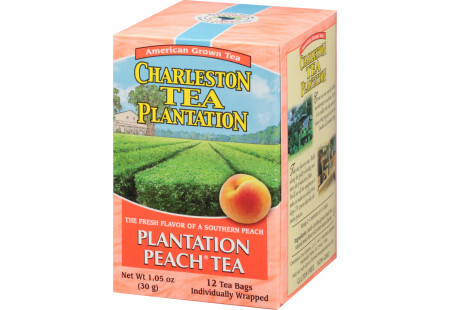 Plantation Peach Tea is becoming a favorite tea by all who taste it. 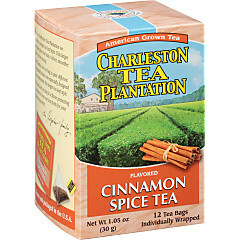 Truly refreshing - hot or iced. 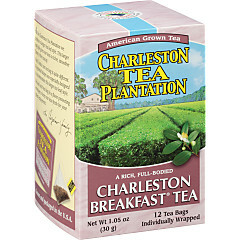 Case of 6 boxes (for the price of 5 - savings of $8.95) of 12 pyramid tea bags each - total of 72 tea bags.